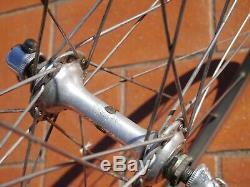 Road bike 2classic wheel set, front and rear, original item from early 80's. 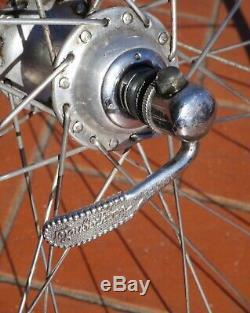 Hubs: Campagnolo Record small flange, 32 holes, rear spacing 130 mm, fron spacing 100 mm, Campagnolo Record original skewers, with "curved" lever from early 80's. 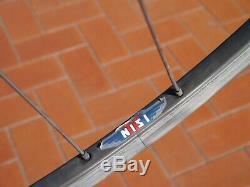 Rims: NIsi Laser tubular, 32 holes, rim outer widht 19 mm, rim height 15 mm, from 1983, the first "aero" rims in the history. 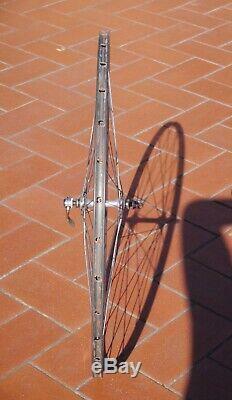 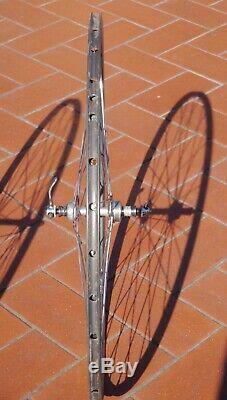 Spokes: Stella, steel made, 3rd crossed both rear and front. 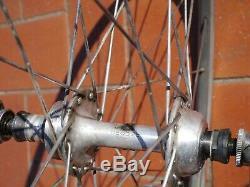 Measured weight: 840 grams (front); 950 grams (rear), including skewers. 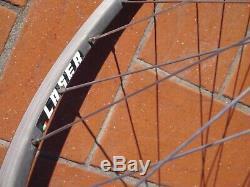 The item "Campagnolo Record small flange, Nisi Laser tubular 700c vintage wheel-set, f&r" is in sale since Friday, February 8, 2019. 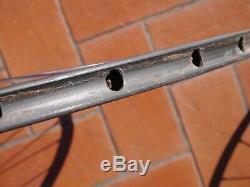 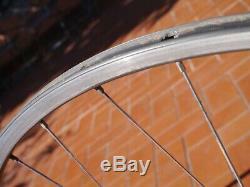 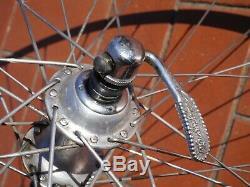 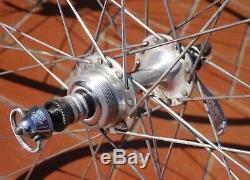 This item is in the category "Sport e viaggi\Ciclismo\Ricambi biciclette\Ruote". 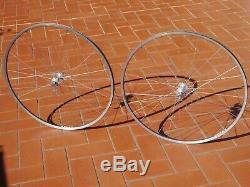 The seller is "hombredelgado" and is located in Genzano di Roma.